This model was the last of the folding Retinettes, and was manufactured from 1951 to 1954. Unlike the earlier type 012 model, it has a full length chrome top plate, like that used on the Retina I type 013. 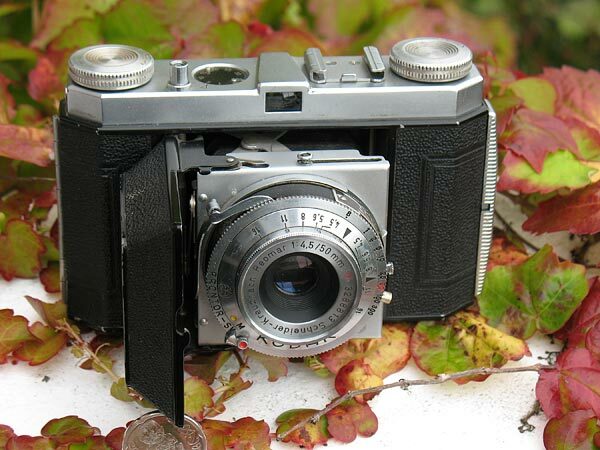 They were fitted with a Schneider Reomar 50mm f/4.5 lens in either a Prontor-S, or SV shutter. Like all the Retinettes, the lens is a 'front-cell focusing' type. 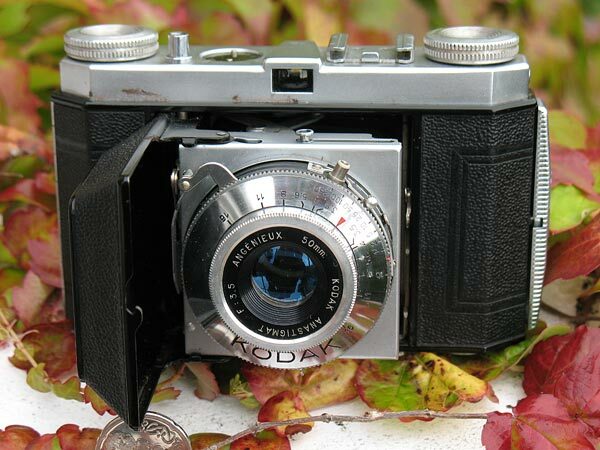 This model was available in the French market with an f/3.5 or f/4.5 Angenieux lens in a Kodak shutter, like the one below.